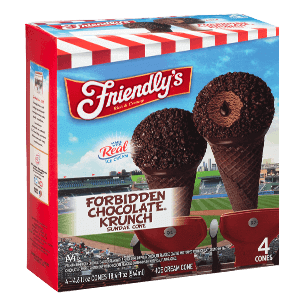 We won’t tell anyone about your second Forbidden Chocolate® Krunch Sundae Cone. Consider it our little secret! 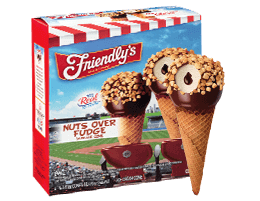 Besides, who can resist premium chocolate flavored cone coated with chocolate flavored coating filled with our signature forbidden chocolate ice cream with a fudge core dipped in chocolate flavored coating topped with chocolate flavored crunch. 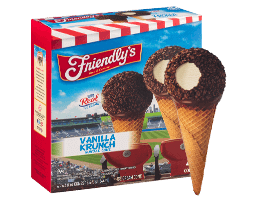 Ice Cream Ingredients: Milk, Cream, Sugar, Corn Syrup, Skim Milk Solids, Water, Cocoa (Processed With Alkali), Whey, Mono And Diglycerides, Guar Gum, Cellulose Gum, Carrageenan, Salt. 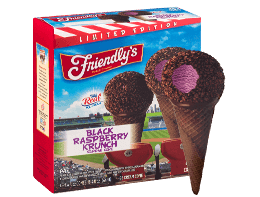 Chocolate Flavored Cone Ingredients: Bleached Wheat Flour, Sugar, Cocoa (Processed With Alkali), Soybean Oil, Palm Oil, Soy Lecithin, Artificial Flavor, Salt. 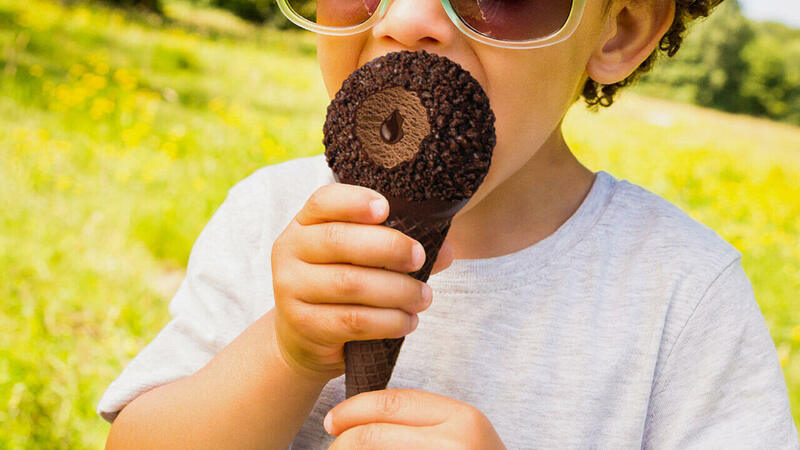 Chocolate Flavored Coating Ingredients: Sugar, Coconut Oil, Cocoa, Whey, Milk, Skim Milk, Cocoa (Processed With Alkali), Soybean Oil, Hydrogenated Palm Oil, Palm Oil, Soy Lecithin, Natural And Artificial Flavor. Fudge Core Ingredients: High Fructose Corn Syrup, Water, Corn Syrup, Cocoa (Processed With Alkali), Sugar, Modified Cornstarch, Skim Milk, Natural And Artificial Flavor. 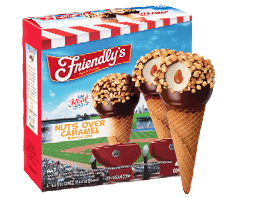 Chocolate Flavored Crunch Ingredients: Bleached Wheat Flour, Sugar, Cocoa (Processed With Alkali), Palm Oil, Corn Syrup, Corn Flour, Soy Lecithin, Baking Soda, Salt, Natural And Artificial Flavor, Peanuts.